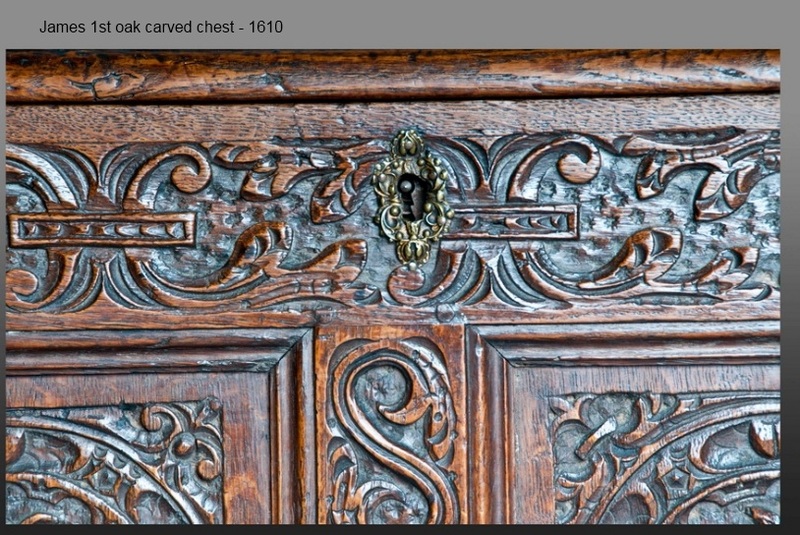 I’ve been scanning the internet for examples of the punch marks used in period carving work. 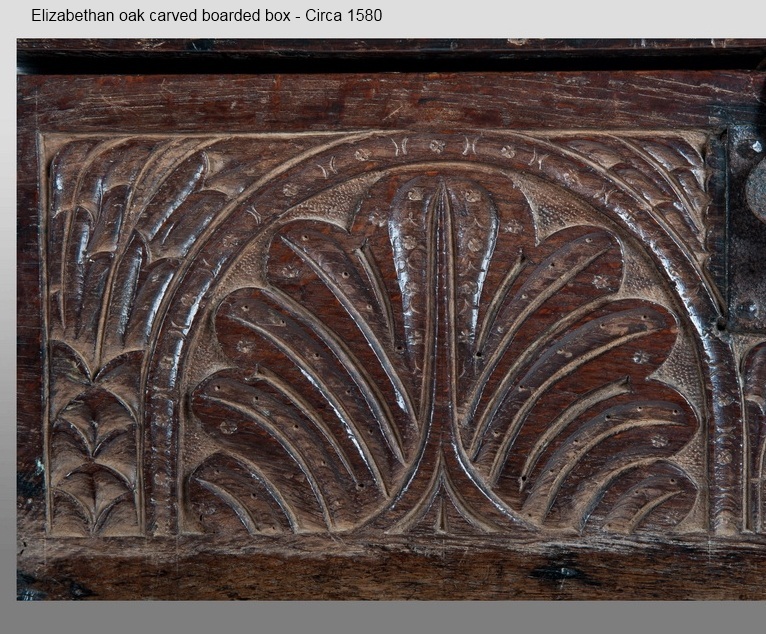 And when I say the Internet, I really mean Marham Church Antiques, and Peter Follansbee’s Blog. 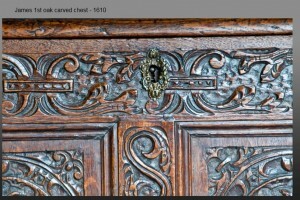 If you’re in to 16th – 17th century woodworking and carving then both of those sites should be in your favorites. 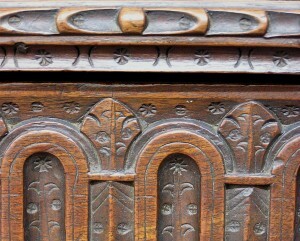 The first on is not a wood working site per se, but it’s filled with wonderful pictures of antique wood chests, furniture and more. 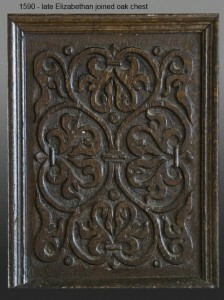 It’s well worth a browse for inspiration, carving patterns, and if you’ve got extra money you can purchase some of them. I’ve been tempted on a few occasions, but we have a big travel vacation planned this summer that I need to save for. Peter’s blog I’ve gone on and on about, so I won’t reprise that. I was able to find a nice set of punched decorative marks on the Marham site, and I’ll show them here. My next step is to make a set of these, so watch for that post later. I’ll be documenting my steps as I go, so hopefully that will help out a little. 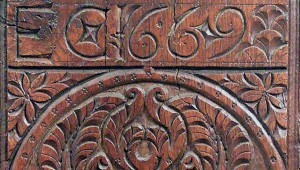 Three punch styles, a eight pointed star, cross in a circle, and a small sun-like punch. 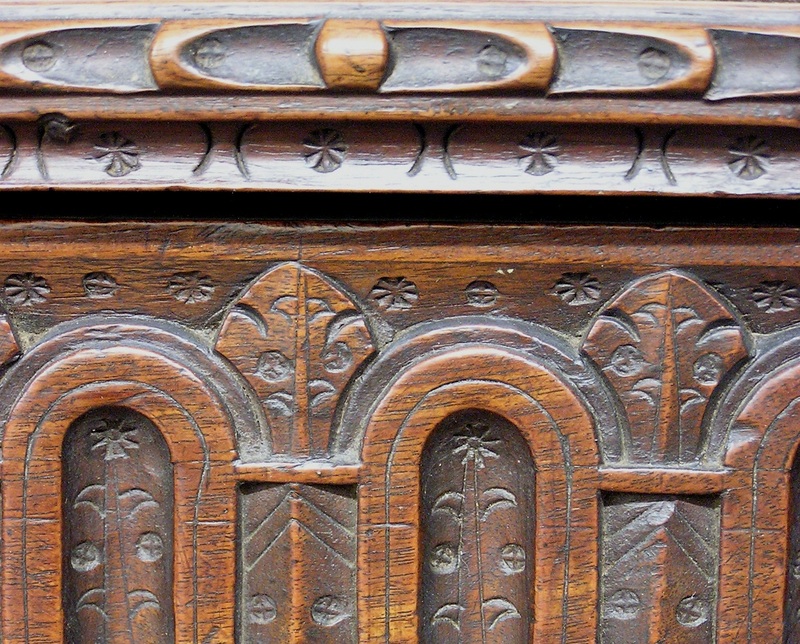 The last two are from Peter’s Blog, and the rest are all from the Marham Antiques site. 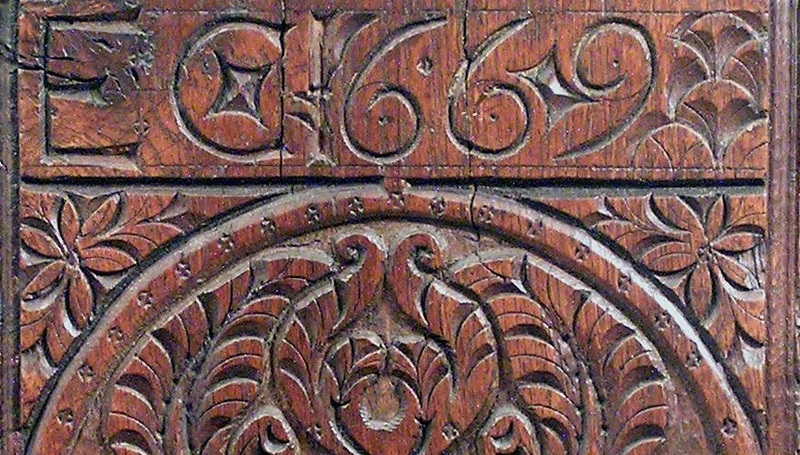 The last one has THREE different punches used in the decoration. I’ve been using a nail set as a small circle punch in my carving so far, and it’s super easy. I’ll be posting the finished box later, which shows two different punches used, the nail set, and a nail I carved into a cross pattern with small needle files. Once you start looking for them, you can find them in all kinds of places. Once you start using them, it’s hard to stop. 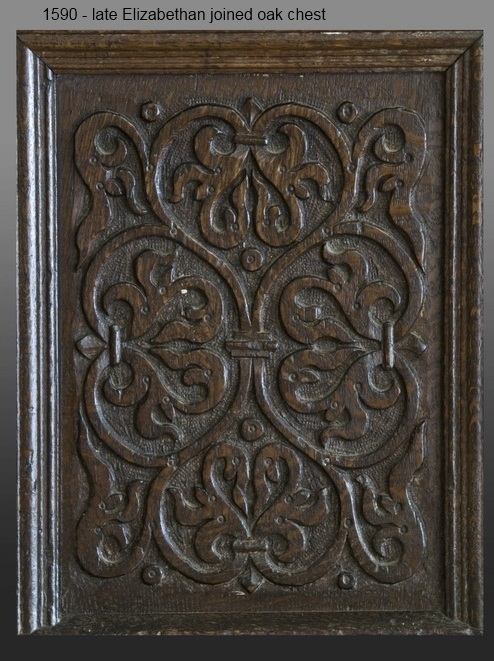 It’s a simple way to add a little flair to your carving, and just as “nature abhors a vacuum” so does 17th century carving. 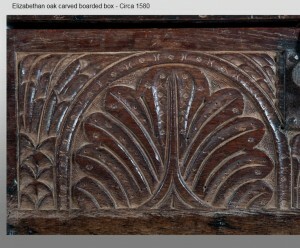 I’ve noticed that the carvings generally have very little in the way of flat open blank space. Well, for my first post to your blog Badger, Ill tip my hat, nice selection of pictures…. 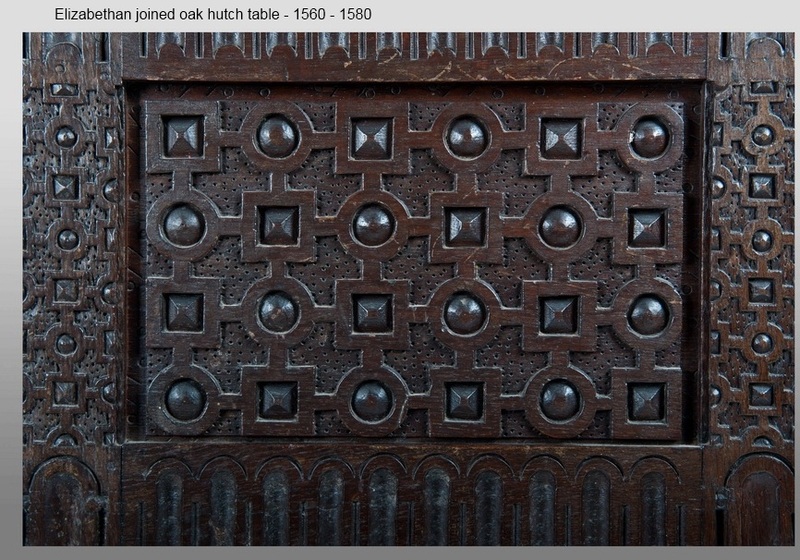 Dont ya wish we had a huge compendium of period furniture from antiquity to the present …so we could compare these styles and see trend more closely. 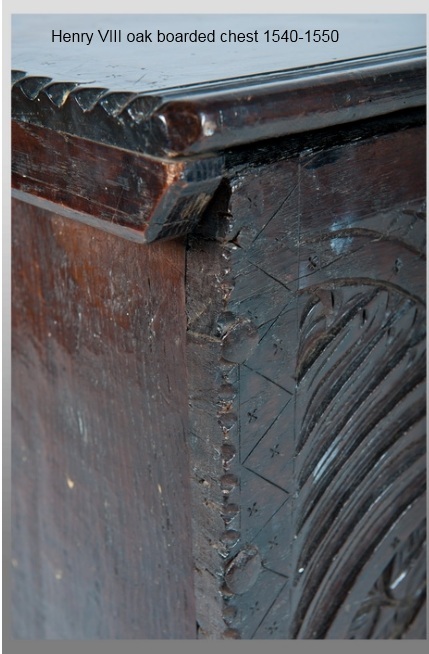 I hear the antiques dealers say this and that….Im never convinced either way, as there is so much conflicting info. 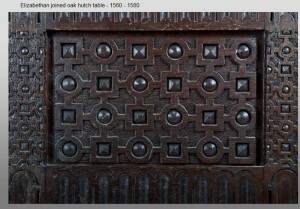 I was in the medieval exhibit in the local museum and I can tell you that texture punches predate the 16th C. ! 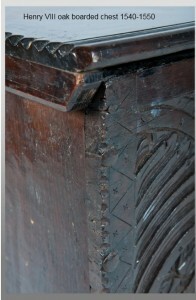 Besides woodwork, they were used to beautiful effect over gold foil in tempera paintings. Very nice examples, by the way.